The warm weather encourages us to eat fresher and clean up our diet. 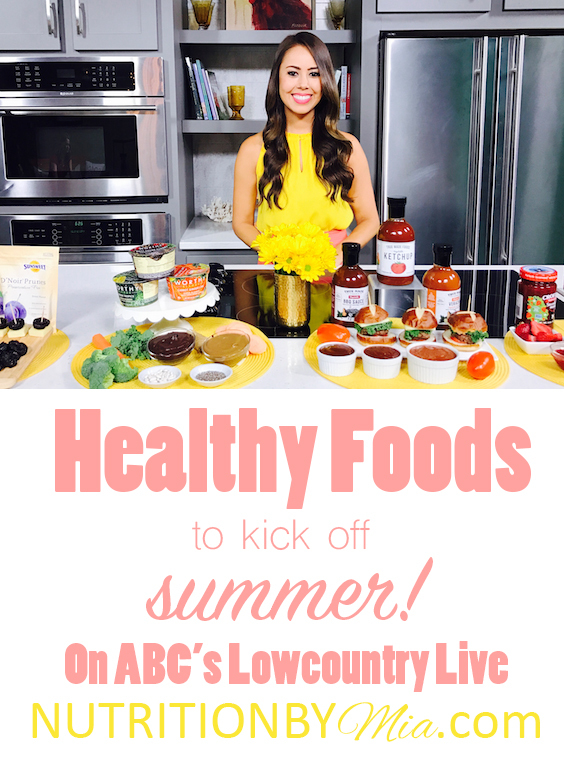 Today on ABC’s Lowcountry Live, I shared some delicious, UNIQUE ways to enjoy more fruits and veggies in every meal this summer! These are the ULTIMATE grab and go mini-meal of summer – Worthy Blends by The Worthy Company. Each is made with fruits, veggies, legumes and chia seeds so they are an excellent source of plant protein, fiber, vitamins and minerals. They come in f0ur delicious flavors; my favorite is the dark cocoa cherry. What is great about these is that they don’t need to be refrigerated so you can toss them into your pool bag and they are ready to eat! You can find them here and on Amazon. Prunes (aka. dried plums) are an excellent on-the-go snack. The “Sunsweet Ones” are individually wrapped so they are great for keeping in your bag if you need a mid-day pick me up. The D’Noir Prunes are preservative-free, really tender and juicy. I recommend pairing these with nuts or cheese for some protein for a balanced snack. (Some of you asked what cheese – I used sharp cheddar but you can’t go wrong with brie). Besides their fiber content, which supports digestion, several studies have linked prunes to bone health . I call this a bone-building snack – you get the vitamin K and magnesium from the prunes and calcium from the cheese. It’s not summer without hamburgers, hotdogs and fries! Of course they need flavor so I brought ketchup, BBQ sauce and a Sriracha-like sauce – but these aren’t your typical condiments. They have been naturally sweetened with VEGETABLES, which results in 50% less sugar than leading brands. The brand is True Made Foods. What I also love about these, is that they were developed by a father of four who wanted condiments that were more nutritious and lower in sugar that his kids could enjoy. So these have the kid stamp of approval! Fruit is a summer dessert staple – strawberries being one of them. I shared my Strawberry Oat Crumble Squares earlier this week which are made with fresh strawberries and the Organic Strawberry Premium Spread by Crofter’s. Crofter’s Organic is excellent because all these spreads are organic, non-GMO and 33% lower in sugar than your standard preserves. 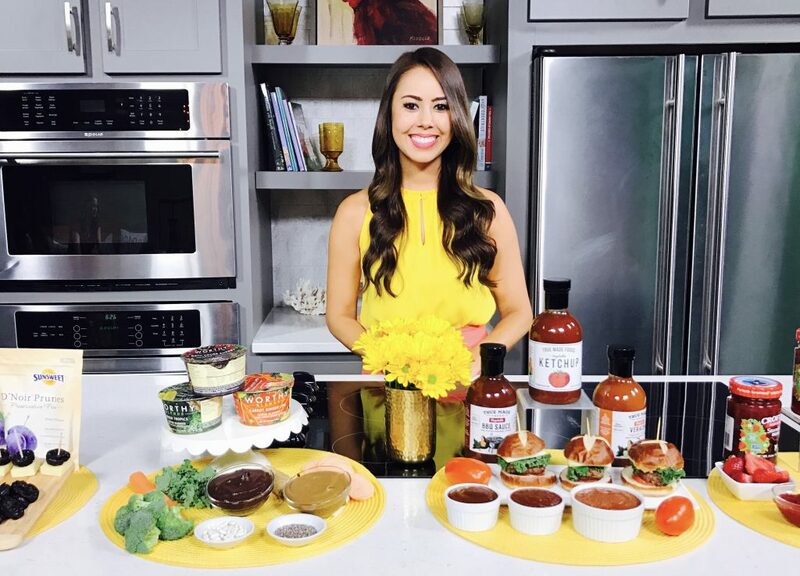 Besides your PB and J sandwiches – you can use this to make salad dressings, cocktails and of course, baked goods like scones and muffins.